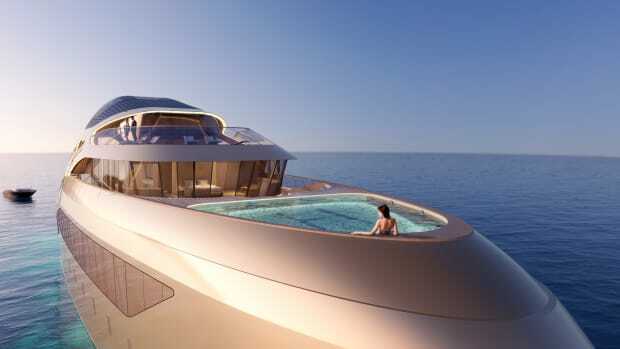 Italian design firm unveils radical expedition concept yacht. 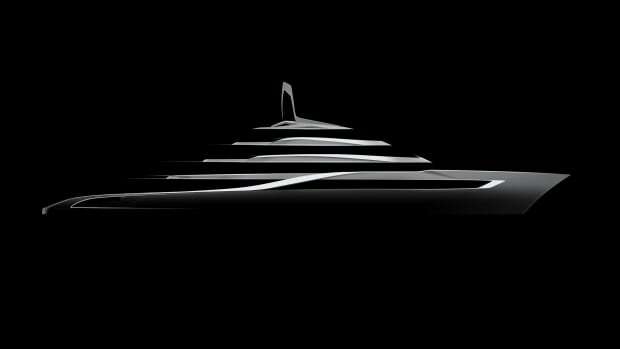 Federico Fiorentino Design has unveiled its latest projects for Eurocraft Shipyard—a new 46-meter expedition superyacht concept that boasts a radical, contemporary look combined with real explorer capabilities. 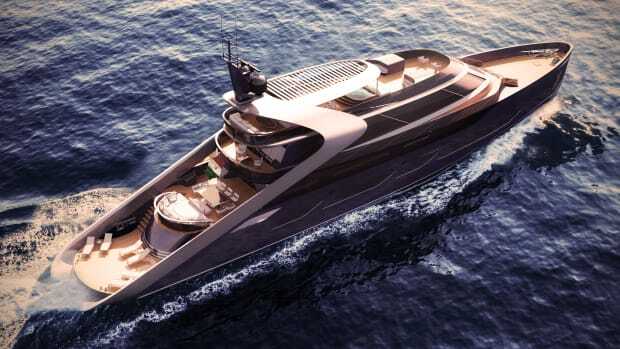 The Eurocraft 46m will be an expedition yacht designed as a true crossover. 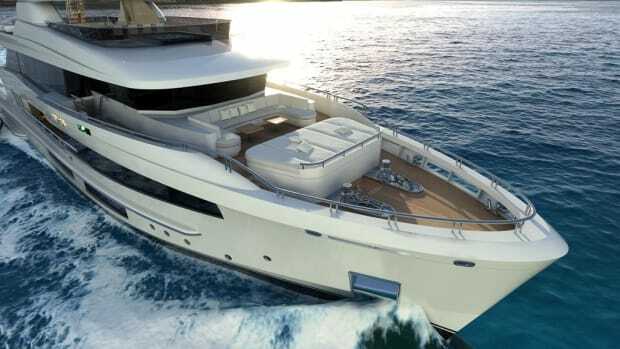 With this project, Federico Fiorentino and Eurocraft aim to create a unique yacht, characterized by a strong personality and a distinctive sharp look, which is also able to offer maximum comfort, reliability and surprising efficiency when long navigation is the game. 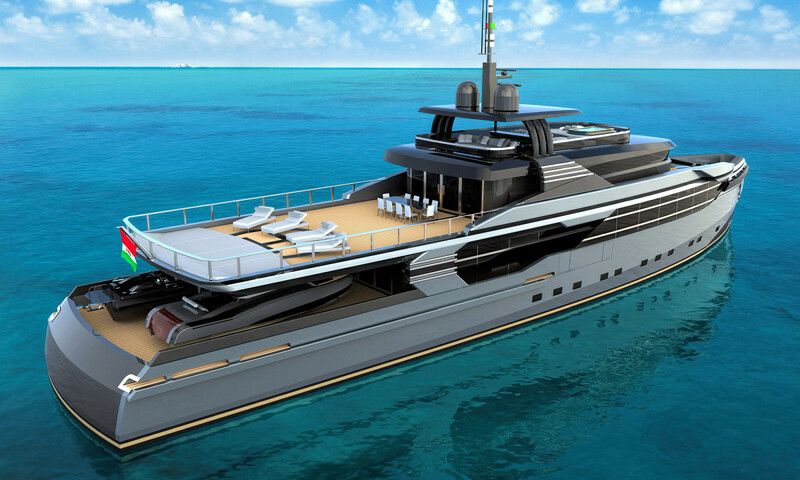 The vessel features a striking gray-blue hull with black and chrome accents. Large windows decorated with stainless steel stripes run along the side of the yacht giving plenty of light to the owner’s suite, located forward on the main deck. 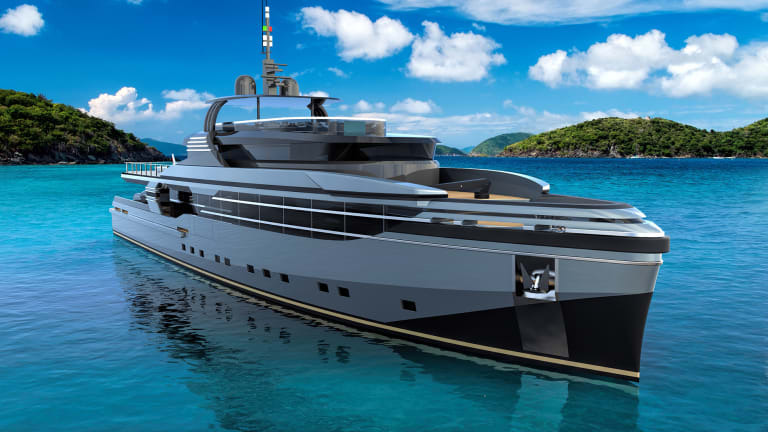 Federico Fiorentino integrated some typical elements of workboats in the design, for example, an atypical bow that with the addition of a fender resembles the bow of a tugboat. 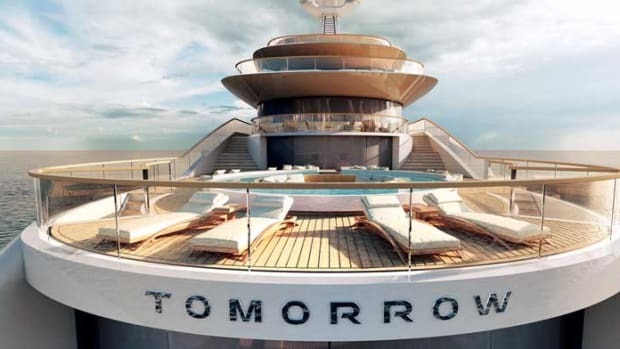 The full displacement vessel will accommodate up to 10 guests in five staterooms, plus nine crew. Besides the master stateroom on the main deck, accommodations include a full-beam VIP stateroom, two twins and one double cabin located on the lower deck. 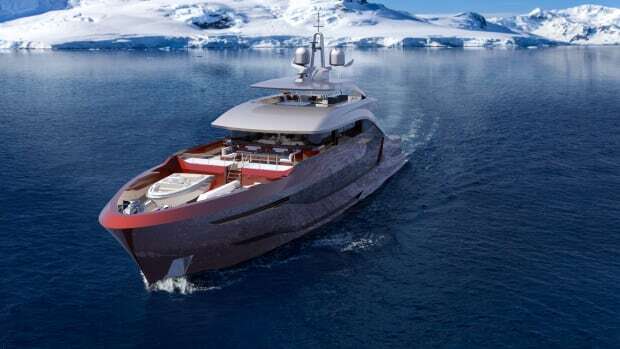 With ocean crossing capabilities and optional Ice Class compliance, this vessel is conceived to be able to explore and sail in every sea from the French Riviera to the Antarctic in absolute comfort and safety, and it could easily adopt a green hybrid propulsion to cut fuel consumption, running costs and emissions. 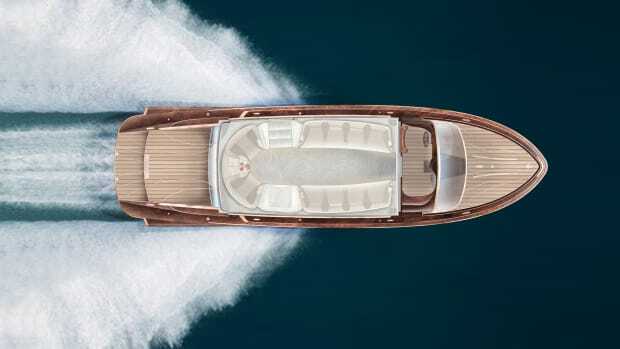 Thanks to great open deck spaces the expedition yacht can accommodate oversized tenders and toys for a yacht of this size, including a RIB and a limo tender up to 10 meters in length. 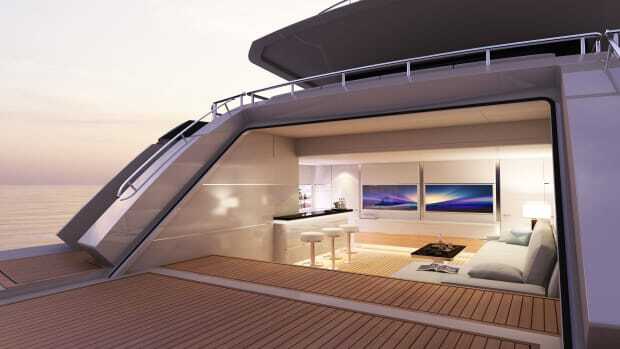 Aft on the upper deck is a helipad platform that can transform into a sunpad area. 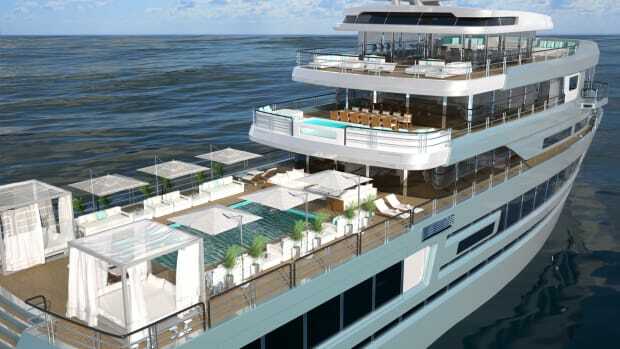 The sundeck includes shaded seating areas, a bar and a pool. 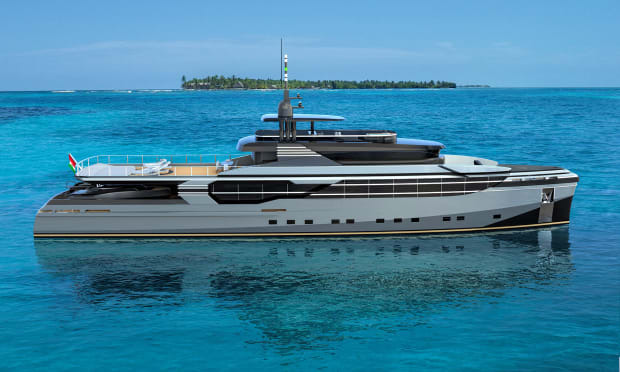 We&apos;re told she&apos;ll be offered for sale by Yacht & Villa International with an asking price of €23.25M and a suggested build time between 24 and 30 months.